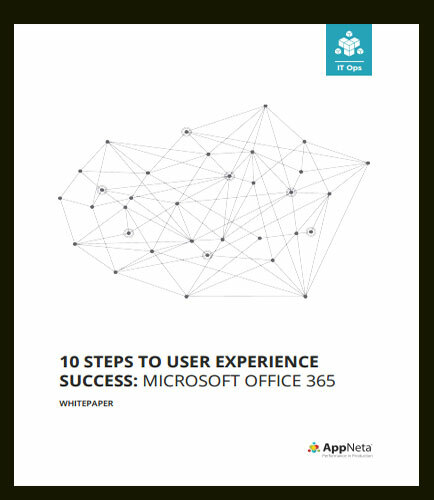 "10 Steps To Planning and Optimizing Your Office 365 Migration"
Communicating the value of Office 365 to your organization, before beginning of the migration, is a challenge in itself. Before beginning your migration, you need to ensure the foundation you plan to run Office 365 on is robust and can withstand the connectivity and bandwidth necessary to deliver a critical application to your target end users. Windows Server 2003 is still being used, even though it has been over 12 years since Windows Server 2003 was released and it lost Microsoft's product update support one year ago. Industry experts estimate that there are more than 10 million machines across the globe still running WS2003, and many will continue to do so for various reasons until EOL or close to that date. In the past several years, Windows® XP and WS2003 have played a very important part in the progress of companies’ IT infrastructures. It should be a cause for alarm that so many businesses still rely upon an operating system originally released almost 10 years ago. This white paper is a guide on easy server migration and upgrade planning to avoid last-minute, frantic, stressful, and risky forced migration, ensuring continuity of service, support, and security. Microsoft is an American multinational technology company founded by Paul Allen and Bill Gates in 1975, headquartered in Redmond, Washington. Since inception, the company emerged into a dominating Personal computer operating systems provider in the market. It has been ranked as one of the world’s largest software manufacturer and most valuable companies. The company develops, manufactures, licenses, supports, and sells a wide range of hardware, software products, and services.